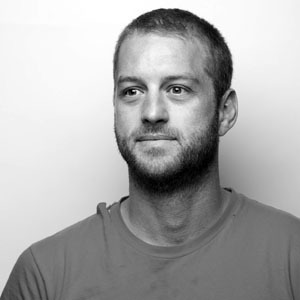 What first attracted you to the advertising industry and how did you land your first role? Like many people in our business I have the usual stories of desperation to get in. I quit a good Design job to sit in my car till all hours, scribbling in a pad in front of the agency I wanted to work at. I stood out the front of award shows handing out cards with punny lines on them. My first creative partner and I even sent a picture of ourselves with a mop and bucket along with a legitimate office cleaning contract. This stipulated that we were allowed to ‘steal the briefs off the printers’ as payment. We were pretty keen. In the end we worked as ‘runners’ at a big agency and paid our dues. Restocking coffee, paper and dishwashers, moving cars and generally doing a lot of fake smiling. Then, working on ideas until 2am every night. Looking back it was one of the best times of my life. Eventually, we got a job across town. Probably because we wanted it more than the next team in line. What vital lesson(s) have you taken away from each agency you’ve worked at? Each agency has their own set of problems and learnings. Working at a few different agencies helps you realize that there is no perfect place and to appreciate the good aspects of the place you are at. – Sometimes too much structure hinders the creativity. – Sometimes too much chaos hinders the creativity. – Being a Creative and a Creative Director are very, very different roles. Once you move up and out you have to be ok with that. – There are different ways to get that idea that you love to happen. Passion is only one. – The least amount of ego makes for the best working environment. – ‘Great creative idea’ is such a loose term. It means so many different things to many different people. 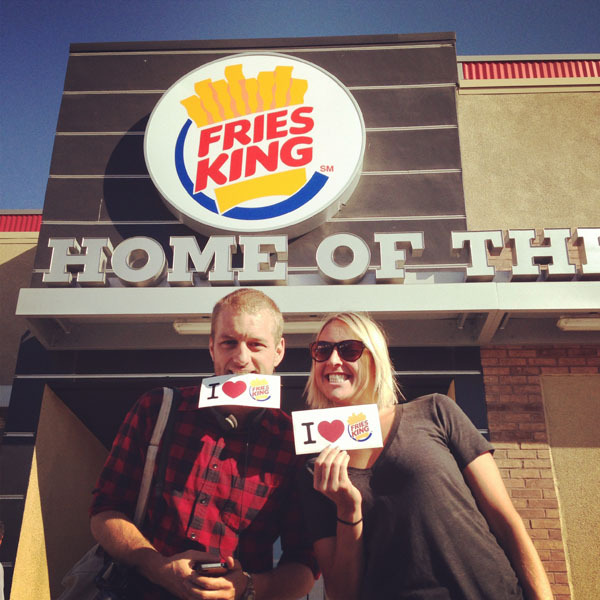 You are the creative brains behind the successful Satisfries campaign for Burger King – tell us how the idea came about. Actually, there is a huge team of people who are all the brains on that one. Another creative team at Mother, Ryan & Gabe came up with a TV spot and the big fries as experiential. They became super busy on the TV so I was asked to help make huge french fries happen. Almost everyone at Mother helped on this but the bit that I’m most proud of is that we purposefully encouraged people to steal the advertising. This meant that our message wandered around major cities free of charge in places that usually cost millions. And people took photos! 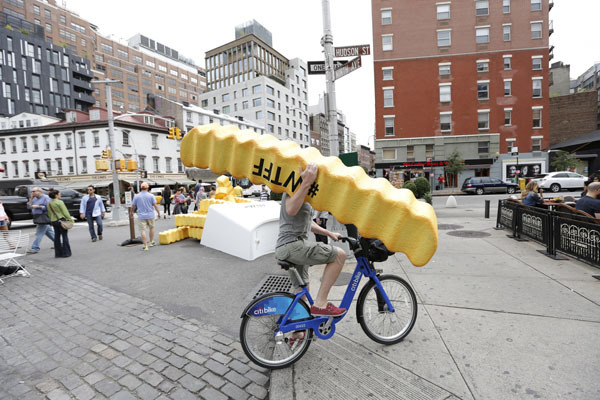 Times Square alone would be worth the relatively tiny cost of 8ft foam french fries. 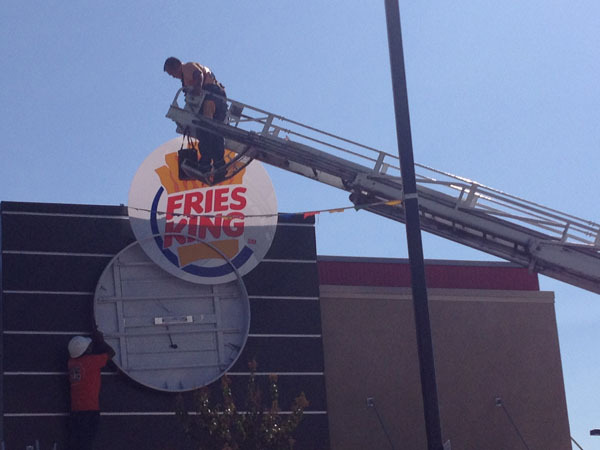 Oh, and we changed the name of the company from Burger King to Fries King. The idea came about the way most do. Throwing a whole bunch of ideas at the wall and picking out the ones that best solve the problem. 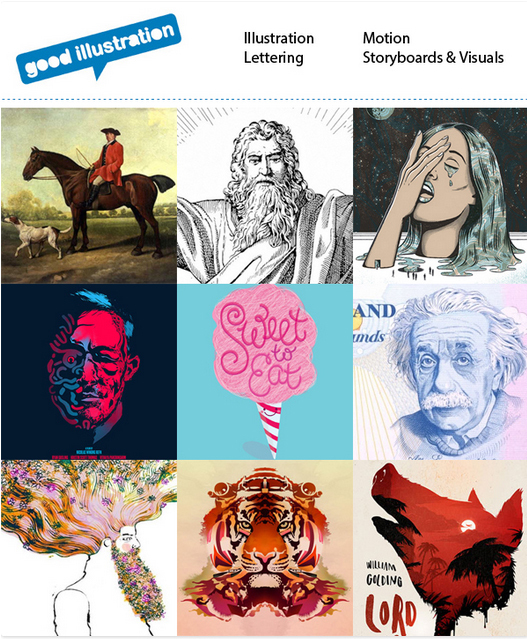 From your portfolio of work, which 3 campaigns best exemplify your creative style? I hope I don’t have a style. I’m a big believer in solving the problem to suit the brand. Meaning, the hope is that the solution feels like it comes from the brand not the creative person. The ones I’m most proud of are the ones that solve the business problem in an interesting way. 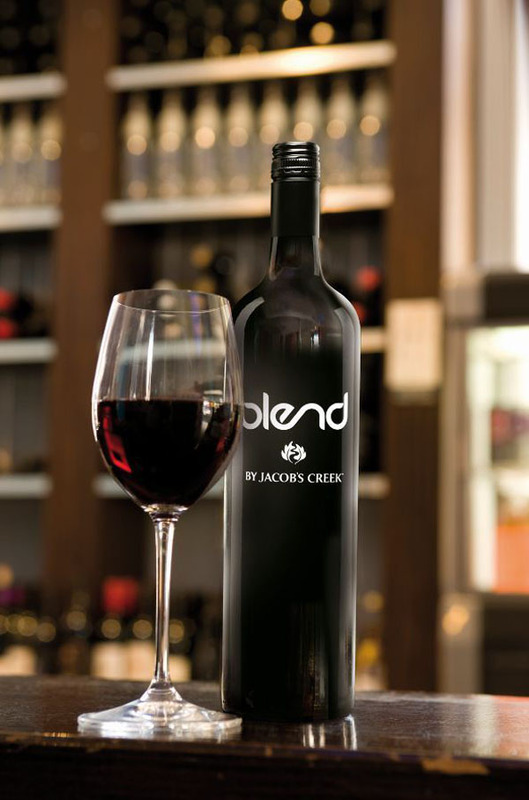 Ideas that almost don’t seem like ads: a can of beans, a new business idea to raise the profile of a wine brand, or changing the company name. I still don’t feel like I’ve made a truly great one just yet so probably the best idea I’ve had was to get on a plane from Australia and work overseas. To try and effect culture that you didn’t grow up in really makes you dig deep. Which account would you credit with helping to broaden your creativity the most? Stella Artois, Optimum, Zeebox, Target, Coca-Cola, Zuji, Virgin Mobile, Burger King – all of them? They all help in some weird way. Which ad (past or present) do you wish you had made? ‘Jessica Alba’ – She’s a perfectly formed robot concocted by the cosmetics industry to make us all feel ugly enough to buy over priced cosmetics, right? I think we’ll see that at Cannes this year. Super Noodles ‘You are what you eat’. Steinlager – Win nicks life. Avis – We’re number two so we try harder. Carlton – Made from beer. Combos- what your mom would feed you if your mom was a man. So many, for so many different reasons. The ideas I wish I’d made is a whole other list. In your opinion what’s some of the freshest work out there right now? I’m going to stick my vote in for consistency. That seems to be really hard right now. By that, I don’t mean being conservative. I mean the agencies that are consistently putting out good work. And brands that are consistently executing a bigger brand idea in a fresh way. Each execution being different but the core thought staying true. ‘Consistently great’ feels fresh because very few are doing it. And it gets me out of trying to answer this question by predicting the next ‘new trend’. What’s the most effective way to a) motivate and b) demotivate creative people? – The responsibility to answer the business problem. – Pretending bad work is amazing. – Bullshitting them, treating them like babies. – Being ‘ok’ with average. Describe the most pressure you’ve ever been under during your career and how it affected your creativity. I once had to deliver a presentation to Chanel. We had loaded the whole thing onto an ipad. Then the ECD custom-made a blue glass box for the big delivery. He must have polished that thing for an hour. The whole agency had been up for 3 nights straight.The last thing to do was deliver the blue glass box with an ipad in it. I was so tired my head was literally nodding in the bumpiest cab ride uptown, ever. I closed my eyes for a second, the fragile glass box leapt off the seat. I made the creative decision to catch it and lay on top of it until the cab made it to Times Square. If i broke that box I knew it wouldn’t be worth going back to the agency, ever. Then I preciously carried a blue glass box with wires coming out of it into a tall building. This was much closer to 9/11. At the time I didn’t realize how crazy it must have looked. I was under so much pressure I didn’t realize I could have easily been mistaken for a terrorist. I feel like many of us work better under pressure. We just don’t realize until afterwards. Which accolade from your highly awarded advertising background are you most proud of and why? 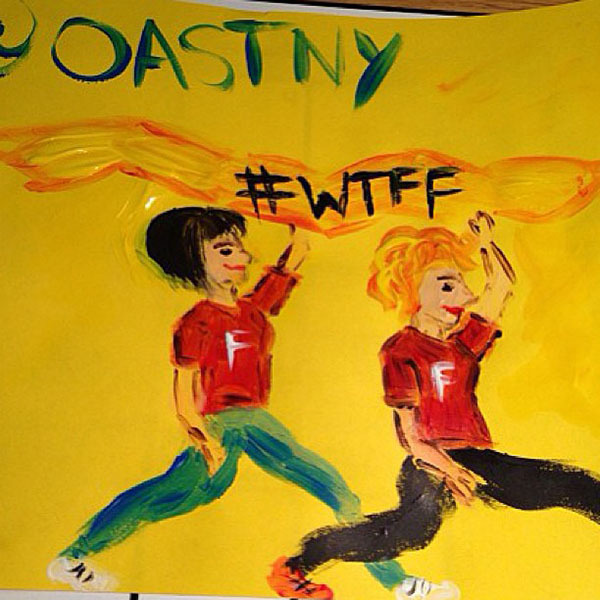 The other day I saw kids painting of two guys carrying a huge french fry from our Satisfries Campaign. That made me feel like an idea had percolated culture more than the usual. What experiences are still high on your career ‘to do’ list? Prove that Jessica Alba is a beautiful robot created by the cosmetics industry. Make an idea as good as – Jessica Alba: a beautiful robot created by the cosmetics industry. This entry was posted in Advertising on July 9, 2014 by Creative Interviews.